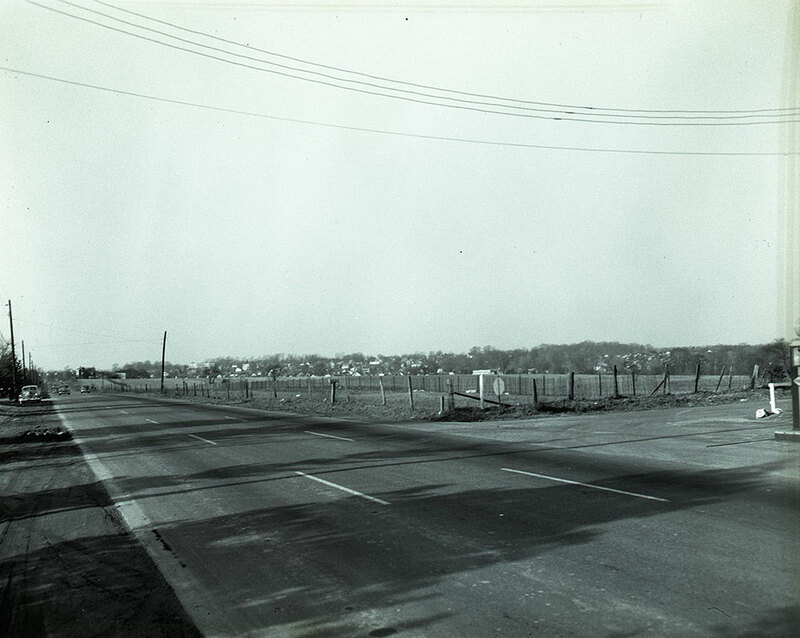 Image shows an intersection of Sproul Road and surrounding undeveloped area. A section of the paved road along with surrounding fields and trees are shown. In the background-left a few automobiles are parked.